Find out which guna predominates in you. Answer as honestly as you can with the intention of developing a deep understanding of your own tendencies. Go with your gut and choose the answer that first strikes you as true. I tend to keep in mind that people's reactions to me are usually projections of their own emotional state, and I'm not bothered either way. I can't remember the last time I was out of balance. 8. ___________ sometimes gets the better of me. 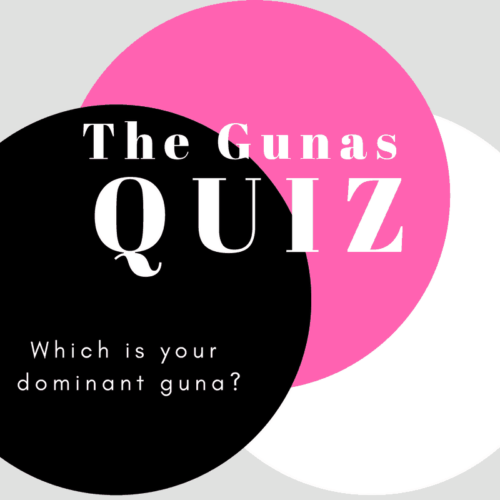 ← Which of the Gunas Is Running Your Life? Very interesting questionnaire, looking forward for my answer. Very interesting. Yep. Thought so too with some outcomes of the answers given. Some of the questionnaires did not have answers that could have best described myself. Hence was stuck with some questions.